Starting in 2011, California Lawyers for the Arts has successfully collaborated with the William James Association to restore funding for California’s stellar arts programs in prisons, which had been largely defunded in 2003. 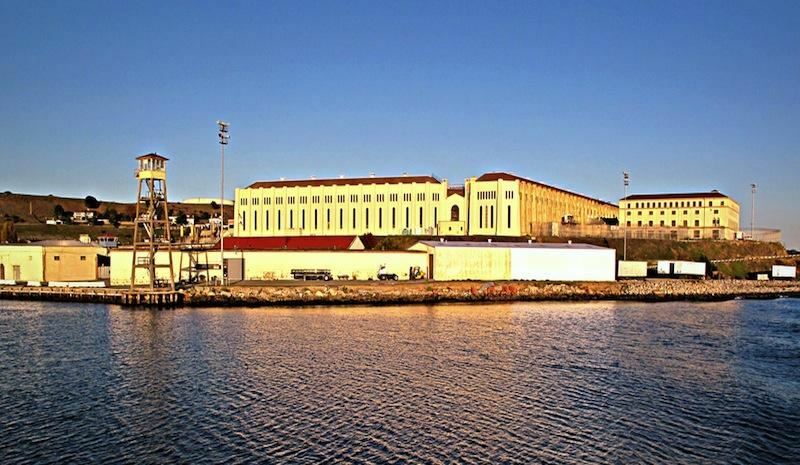 Starting with a $2.5 million, two-year pilot project in 2014, the California Department of Corrections and Rehabilitation (CDCR) has contracted with the California Arts Council to provide arts programs in prisons throughout California. The CDCR now provides $8 million/year for these programs. Previous evidence-based research documented that inmates engaged in arts programs are less likely to be involved in disciplinary incidents and to re-offend after release. With funding from the National Endowment for the Arts, the California Arts Council and several private foundations, CLA worked with the William James Association and Dr. Larry Brewster of the University of San Francisco to produce new evidence-based research documenting how arts programs benefit incarcerated persons. Demonstration projects in both state prisons and county jails have shown that arts programs improve the participants’ confidence, communication skills and emotional management, while resulting in better relations with other inmates and staff. Dr. Brewster’s 2014 study included pre and post surveys of participants in arts programs at the California Rehabilitation Center in Norco and Soledad, New Folsom and San Quentin State Prisons. Findings included that participants had better time management skills, achievement motivation, intellectual flexibility, active initiative and self-confidence as well as a reduction in disciplinary reports. Significantly, many respondents indicated an interest in pursuing other academic and vocational programs. CLA has now completed a multi-year evidence-based research project that demonstrates the benefits of arts programs for residents in county jails throughout California. Results from the three-year project are documented in our County Jails Project Report, which was completed in February, 2019. CLA contracted with local arts agencies to place artists at county jails and administer surveys to the students at the conclusion of 10 to 18 week programs. These findings were reported at a professional development symposium of the Correctional Education Association and a meeting of the California State Sheriffs Association as well as during several Art for Justice Forums (see below). The project was also summarized in a guidebook to innovative programs published by the California State Judges Association. Benefits reported by the participants included better communications skills and ability to express emotions as well as improved relations with other inmates and staff. Project funding was provided by the National Endowment for the Arts, the California Arts Council, the Andy Warhol Foundation, the Wallace A. Gerbode Foundation, the Quentin Hancock Fund and the members of California Lawyers for the Arts. ​CLA was awarded one of 30 grants from the new Art for Justice Fund to facilitate six Art for Justice Forums in Michigan, Texas, Alabama, Georgia, New York and California during 2018. These one-day forums are designed to engage the arts in justice reform efforts and increase support for arts in corrections programs, as well as delinquency prevention and re-entry services. More than 200 persons, including elected legislators, artists, returned citizens, educators, arts and justice reform organizations, and others participated in first two forums at the University of Michigan in Ann Arbor on April 3 and at the Houston Museum of African American Culture on July 14 . A short video of the Michigan Art for Justice Forum is linked here. Videos of the plenary panel sessions are also available here. The Defender Network.com published photographs from the Texas Art for Justice Forum, while the Texas Criminal Justice Coalition summarized the day's discussions in a blog report. Additional forums took place at Emory University School of Law in Atlanta on September 28, at Sacramento State University on October 16, at the Jule Collins Smith Museum at Auburn University in Alabama on October 19, and at Columbia University School of Law in New York on November 16. For more information, please send an inquiry to aic@calawyersforthearts.org. CLA is showcasing the arts as a significant resource for rehabilitation during a series of national conferences funded by the National Endowment for the Arts, the California Arts Council and several private foundations. In June, 2017, CLA presented Arts in Corrections: Building Bridges to the Future in collaboration with the William James Association and Loyola Marymount University in Los Angeles. This conference brought together more than 260 artists, educators and arts administrators from around the United States and the United Kingdom to participate in five days of professional development activities, including sequential classes with 21 master artists whose curriculum outlines are included in the conference ebook below. Workshops covered best practices in program delivery, evaluation, legislative updates, reentry programs, sustainability, and building public awareness. Keynote speakers included Bryonn Bain, performance artist and UCLA professor; Vijay Gupta, violinist with the LA Philharmonic Orchestra; California State Senator Ben Allen, Chair of the Joint Legislative Committee on the Arts; and Scott Kernan, the Secretary of the California Department of Corrections and Rehabilitation. A total of 34 elected officials— including members of the LA City Council, LA County Board of Supervisors, the LA County Sheriff and California's two US Senators accepted our invitation to participate as members of our LA Host Committee. In 2015, CLA presented its first national conference at the University of San Francisco, Arts in Corrections: Opportunities for Justice and Rehabilitation, More than 200 persons from 22 states, as well as England and Japan, attended. At the conference, a national steering committee was formed to advance the field of artists who teach in correctional institutions. The committee subsequently surveyed the field and found that 94% of the 205 respondents said they would be interested in joining or supporting such an organization. A feasibility study was then commissioned to investigate the opportunities and challenges of launching an organization to support artists who work in correctional institutions. In the spring of 2017, the steering committee is reviewing strategic options for the proposed national network organization.